NEW YORK—Wilbur Ross Jr. is not like other Wall Street high rollers like Donald Trump and Carl Icahn. He is a soft-spoken, well-mannered, and impeccably dressed gentleman, and has succeeded on Wall Street, becoming a billionaire in the process. Ross, worth $2.9 billion according to Forbes, has made his name in distressed assets investments and rose to fame turning around Bethlehem Steel as well as Burlington Industries. Unlike the classic private equity raiders, Ross has managed to save jobs during these turnarounds, working closely with the unions. “In our work, which is mainly dealing with distressed situations, we’re able to do good and do well for ourselves at the same time,” Ross claimed. I don’t want to keep my mind going by doing the New York Times crossword puzzle. Epoch Times spoke with Ross about the people factor in investing, the current market valuation, China, and his troubled investments in Greece. EPOCH TIMES: Your friend, Robert Nederlander said about you, “I’ve never seen him angry.” Is that true, you’re never angry? If so, how do you do it? WILBUR ROSS: Well, I try not to show the anger. Showing anger is not a very useful thing. But any human gets upset at things on occasion. EPOCH TIMES: What was the last thing you got upset about? MR. ROSS: Oh boy, I can’t imagine. In general, things have gone very well for us so there hasn’t been a lot to become angry about. EPOCH TIMES: You’re going to be 79 in November. Why are you still at it, other people would have retired a long time ago? MR. ROSS: I’ve seen too many people in Palm Beach who in one month are hard-charging CEOs of their companies and six months later, after they’ve retired, they’re slumped over in their chair, trying to keep their mind going by doing the New York Times crossword puzzle. I don’t want to end up keeping my mind going by working on a crossword puzzle. Showing anger is not a very useful thing. But any human gets upset at things on occasion. EPOCH TIMES: As an investor on the other hand, you are managing money as well as people. MR. ROSS: In our work, which is mainly dealing with distressed situations, we’re able to do good and do well for ourselves at the same time. So there’s a very good feeling about doing things to help the employees of a sick company do better and yet make a profit for ourselves. EPOCH TIMES: Even some of the union leaders have positively commented about you, which usually doesn’t happen with investors. Do you have a special way of approaching negotiations when dealing with distressed companies? MR. ROSS: There’s a big misconception in management–labor relations throughout the industrial world; too often management and labor view each other as adversaries. We truly view labor as our partner because they only have one company they’re working with and we only have one group of workers. Too often management and labor view each other as adversaries. So we think it’s very important that we have a good, functional relationship. We don’t negotiate with unions having a big battalion of lawyers and accountants and human relations people. We tend to negotiate mano-a-mano with the union leadership. Once we’ve worked out the essence of the deal, we then turn it over to the professionals and hope that they accurately report it on the paper. The second thing is that we have a very open and frank relationship with the union. In each of our factories, the factory manager must meet with the local union representation at least once a month and go over in great detail how that factory is doing, how the company is doing, where they’re doing well, where they’re doing poorly. If at any time the union wants to audit the books to make sure that he’s telling him the true story, they’re free to do so. We truly regard the union as our partner. Then the third thing is, we believe in productivity bonuses for blue collar workers. Not piecework, not requiring them to do a certain amount of pieces in order to get paid, but rather normal base salary, then if they can achieve strong productivity goals, substantial increases in their immediate payment. We have a whole different way of working with the unions from what is typical of normal management. MR. ROSS: The leadership of many of the unions understands the problems of the companies at least as well as the management and sometimes better. But they don’t always feel empowered to speak up and say what they think could be correct. We like to have dialogue with them because that man who has stood behind a machine for 15 or 20 years, he knows better than the people who built it, how to get more productivity out of it. So you need to create an environment where he feels someone will pay attention if he makes a suggestion, and if it turns out to be a good suggestion, that he’ll be rewarded for it. To us there are only two prices that really matter; the price at which you originally bought it, and the price at which you eventually sell it. And if we can create those environments, you can get very, very strong productivity from the workforce. EPOCH TIMES: You have some textile factories in Mexico and also do business in China. Can you talk about competitiveness and labor costs of the two economies? MR. ROSS: The Chinese yuan has appreciated about 50 percent against the Mexican peso over the last 10 years. So on a dollar-equivalent basis that has made Mexico much more competitive. In addition, Mexico is inside NAFTA, the North American Free Trade Agreement. China is not. Consequently, there are tariff barriers to China. For example, apparel and footwear imports into the United States are pretty much subject to a 15 percent tariff. Those same items made in Mexico would not be subject to that tariff. EPOCH TIMES: Who were your investing influences when you first started out? Which books did you read, which people did you follow? MR. ROSS: The biggest single influence on me was a professor at Harvard Business School, called Gen. George Doriot. In World War I he had been a private in the French army, but by the time World War II came around, he became a general in the American army. He had immigrated to the United States in between. So he was a professor at Harvard Business School and he was also one of the founders of INSEAD, the big business school. The idea about labor relations and partnering with unions rather than being adversarial to them was a very simple concept of Gen. Doriot. EPOCH TIMES: Any other books you would recommend to young investors? MR. ROSS: Certainly [“Security Analysis”] by Graham and Dodd is a book that everyone should read. It isn’t applicable to every kind of investment, but it is a good grounding, a good basic philosophy. Then Robert Shiller wrote a very interesting book much more recently called “Irrational Exuberance” during one of the bull market bubbles. I think those two books, while they’re very different, are both very very useful for people interested in investment. 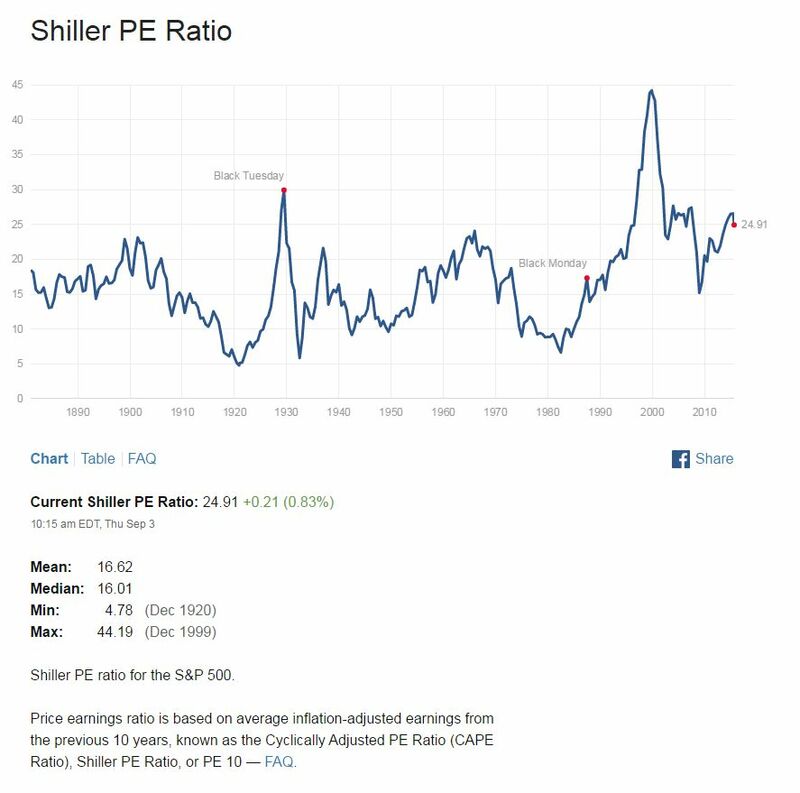 EPOCH TIMES: Talking about Shiller, his Cyclically Adjusted Price Earnings Ratio (CAPE Ratio) is very expensive at the moment. MR. ROSS: In general, we have been a seller over the last year or so. We have sold about five times as much as we have bought and that’s because of the general phenomenon that things are not that attractive. EPOCH TIMES: What are some of your favorite valuation techniques? MR. ROSS: Well at the end of the day it comes down to individual securities because we’re not really traders; we’re long term investors. To us there are only two prices that really matter; the price at which you originally bought it, and the price at which you eventually sell it. What happens in between is a lot of static, a lot of commotion, a lot of coming and going. We are looking for businesses that have a fundamental societal need. You mentioned International Textile Group. Clothing is a very fundamental thing; it’s not going to go away. Styles may change, the delivery mechanism may change, but it’s a recurring need. So it’s a very fundamental business. Then what you want is someone who has some sort of existing or achievable strong competitive position, whether that’s because of a low-cost facility, whether that’s because of a better marketing program, whether it’s through consolidation of the industry, any one of a number of factors. But we’re not passive investors. We’re active investors. So to us, the definition of value is that there’s something we can do to increase the fundamental values that we see in the business. 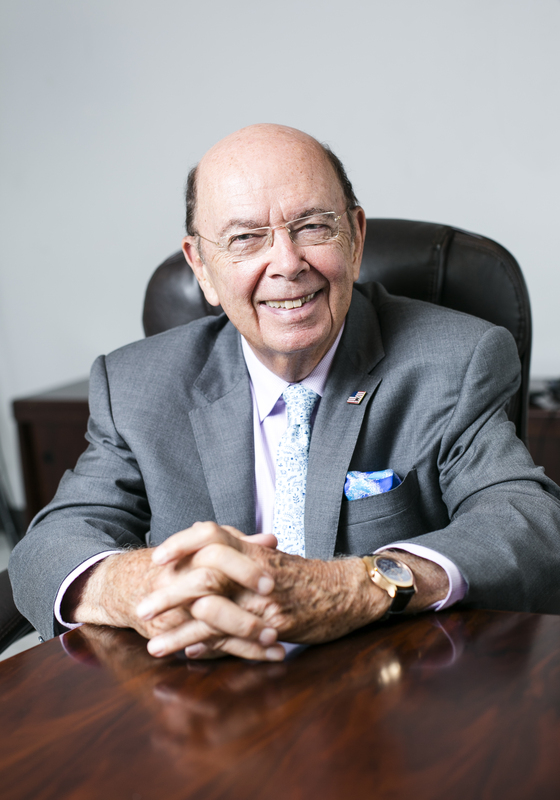 Wilbur L. Ross Jr. is founder, chairman, and chief strategy officer of WL Ross & Co. LLC, an investment management company which is part of Invesco. Previously, he worked for Rothschild Investments as a bankruptcy adviser and private equity manager.